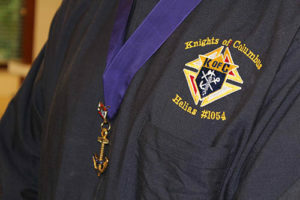 The nearly 2 million members of the Knights of Columbus form the largest Catholic Fraternal group in existence. As Knights, we serve our parish and community while working each day to create a better world through charity. If you are looking to live out your faith in the spirit of charity by helping others, our Knights of Columbus Council welcomes you to join them. Knights and their families have the opportunity to become involved in our council’s charitable, faith-based, and social programs. Since its founding in 1882 by Fr. Michael McGivney, the first principle of the order has been charity. Our council and those around the world actively assist the church and our neighbors in need. We were also founded to protect our livelihood of catholic families, and that commitment means we continue to provide our members and their families with top quality life insurance. No life insurer in north America has a higher rating than the Knights of Columbus.